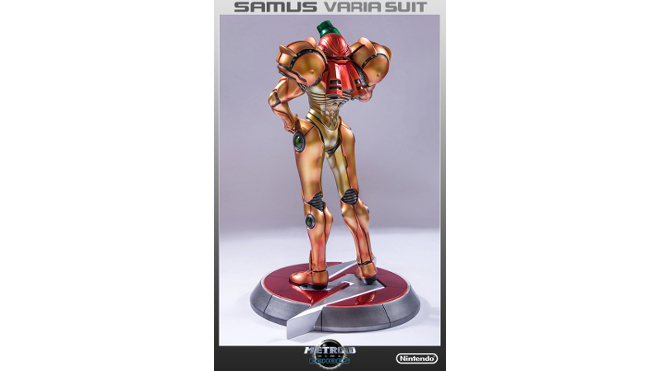 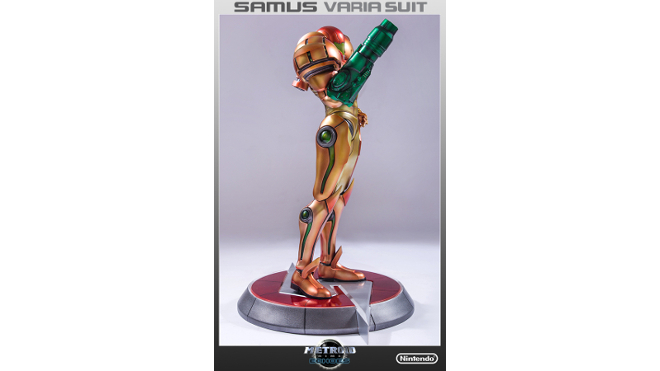 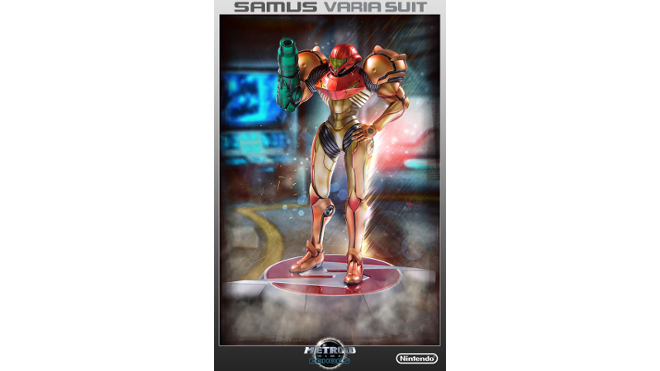 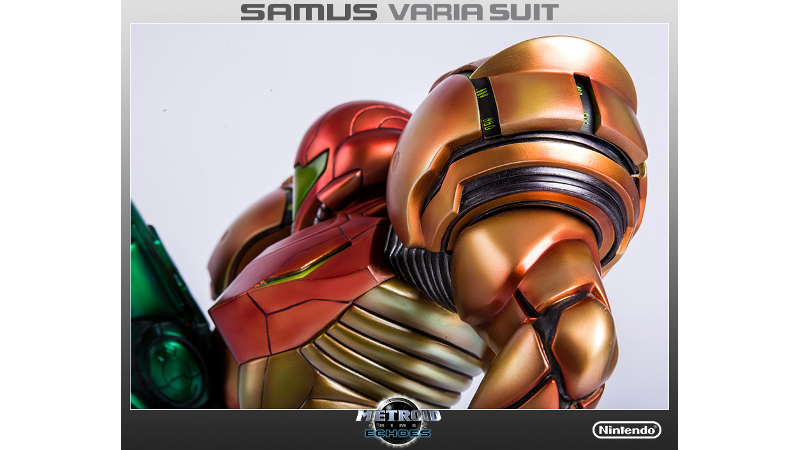 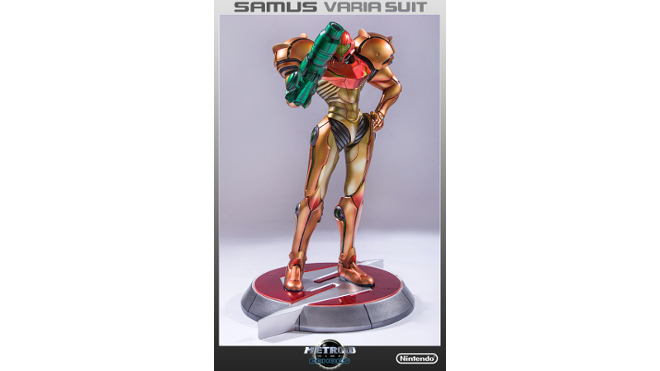 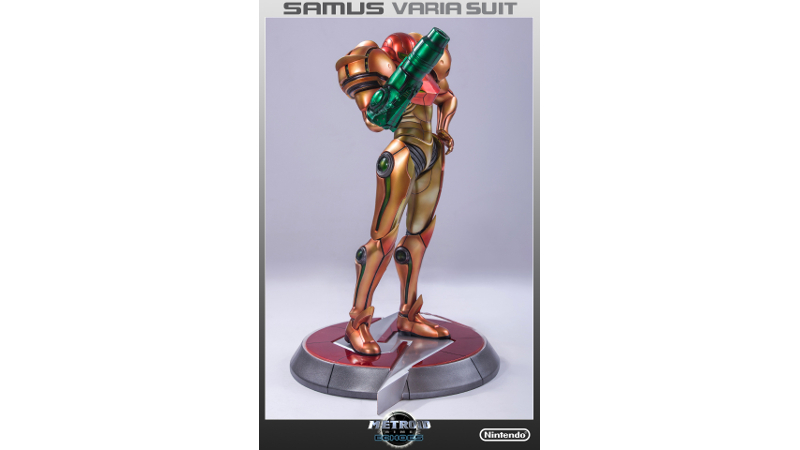 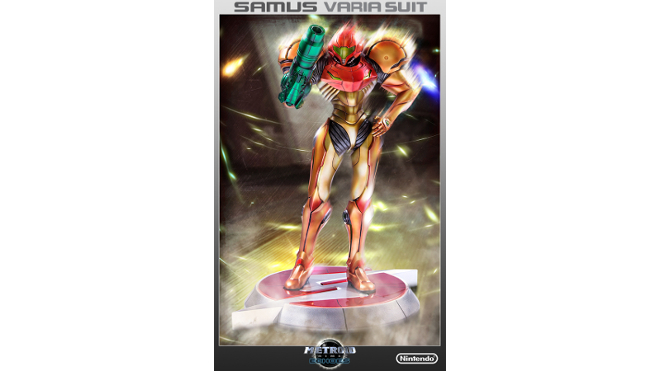 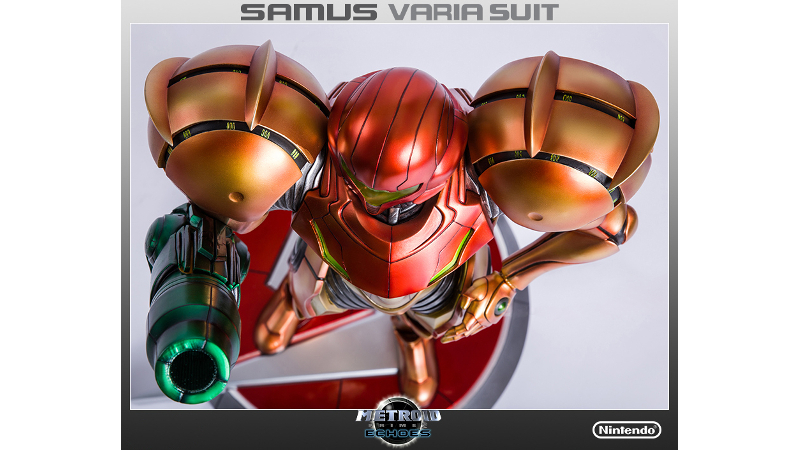 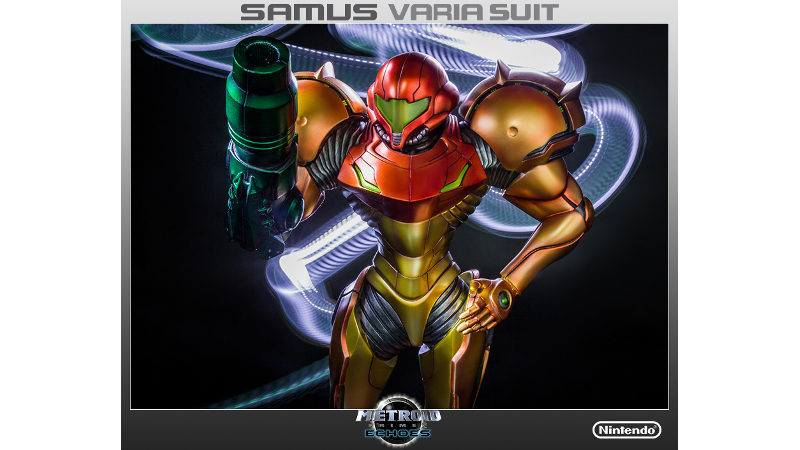 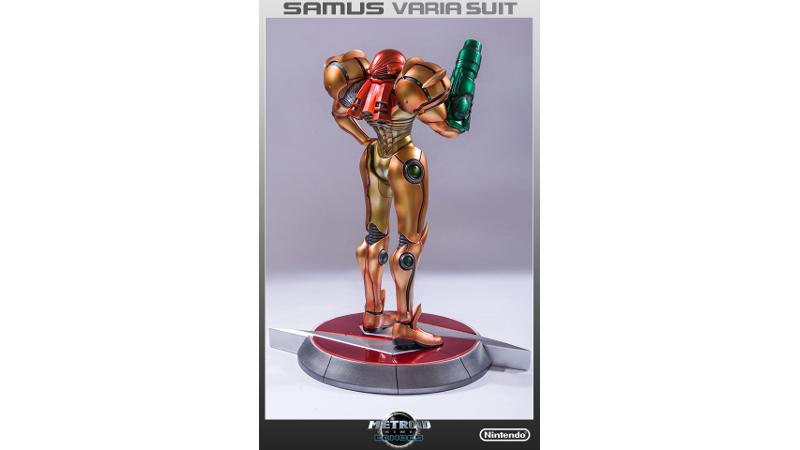 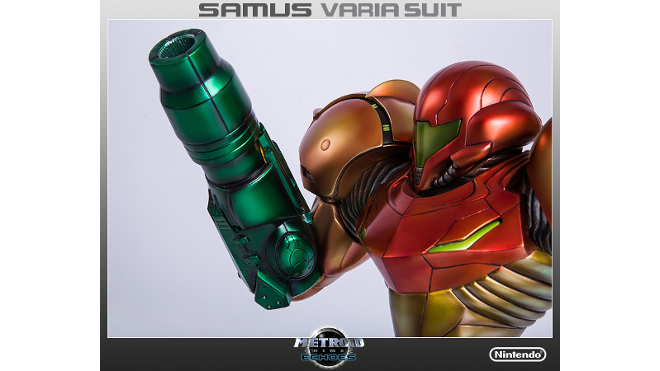 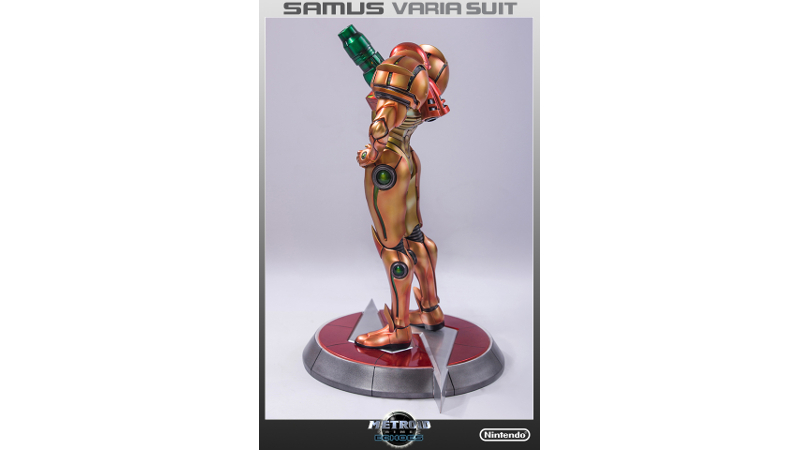 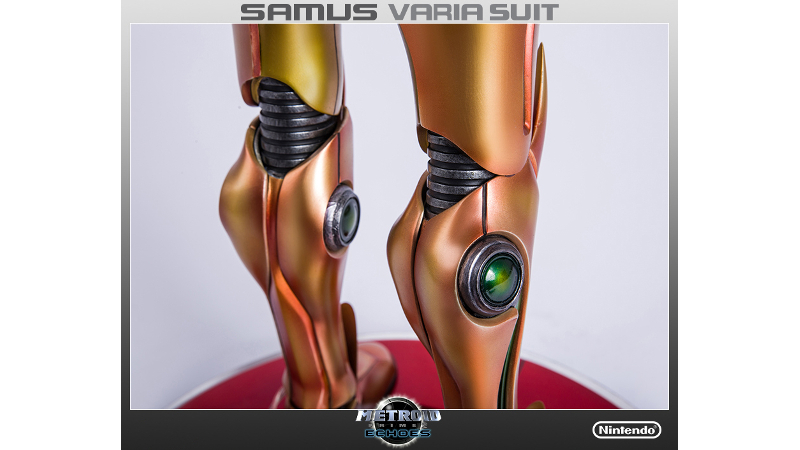 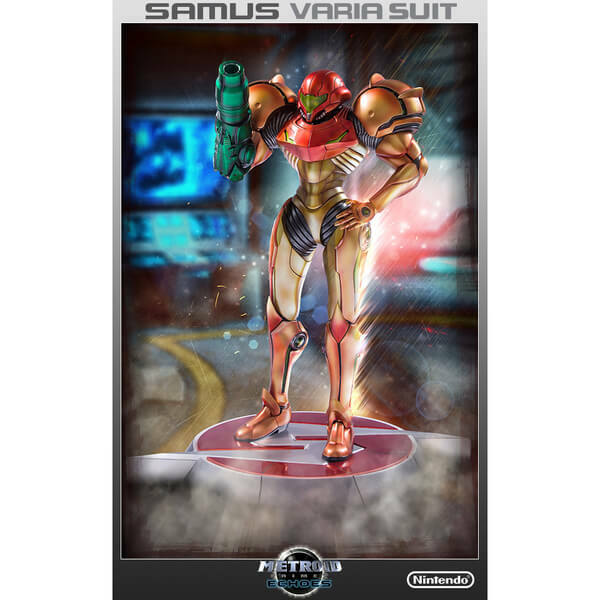 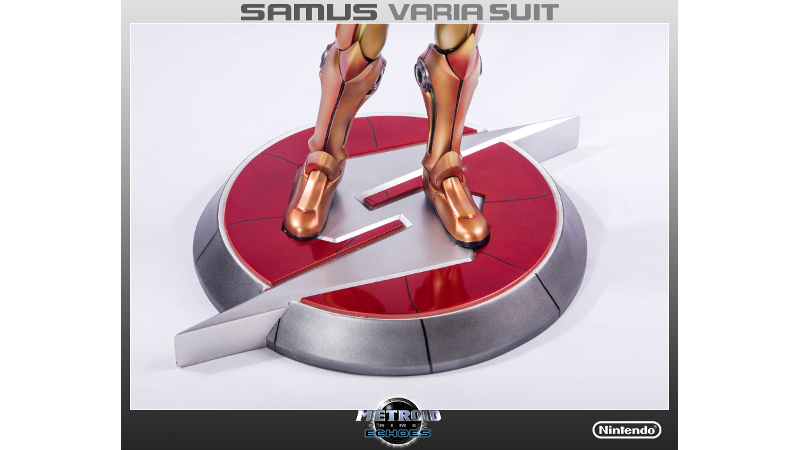 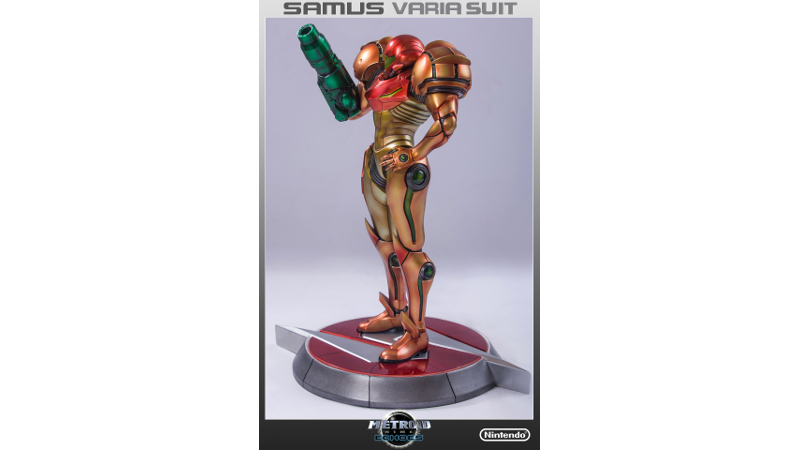 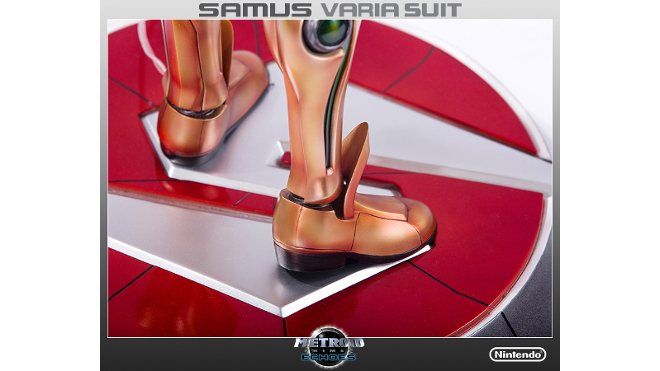 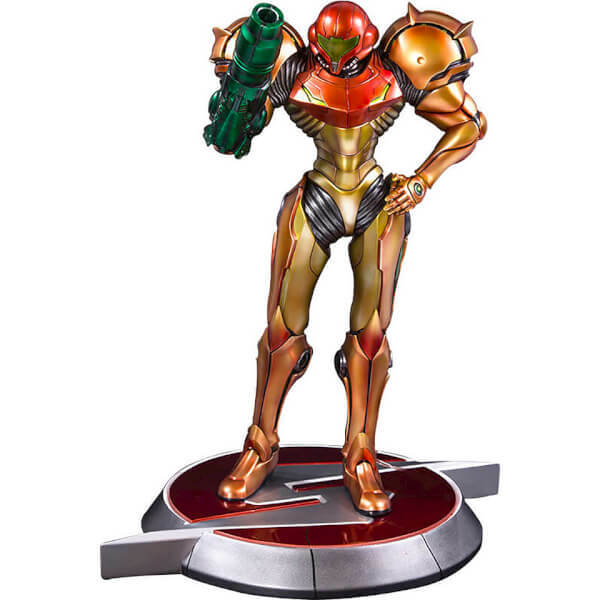 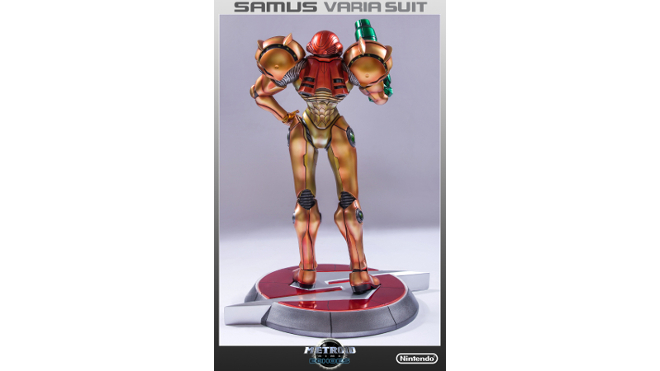 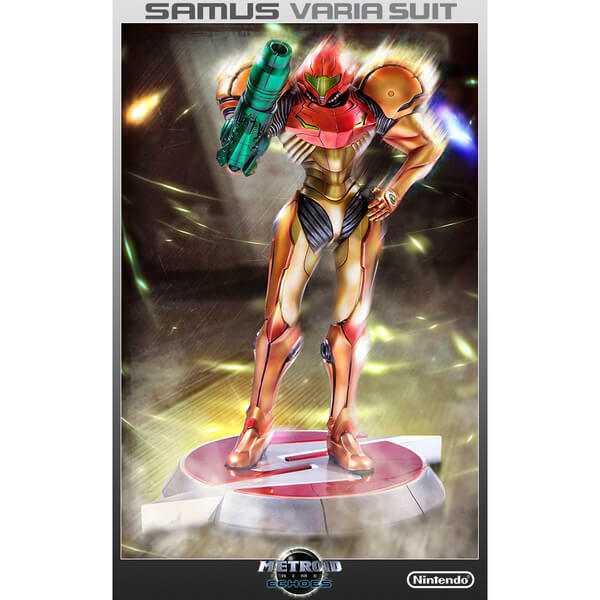 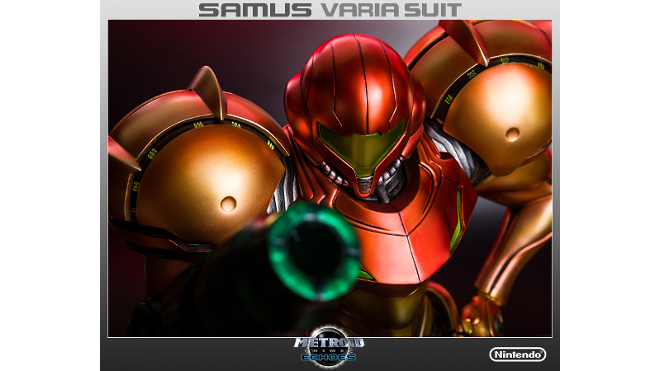 Fans of Metroid... you can now own Samus in the iconic Varia Suit. 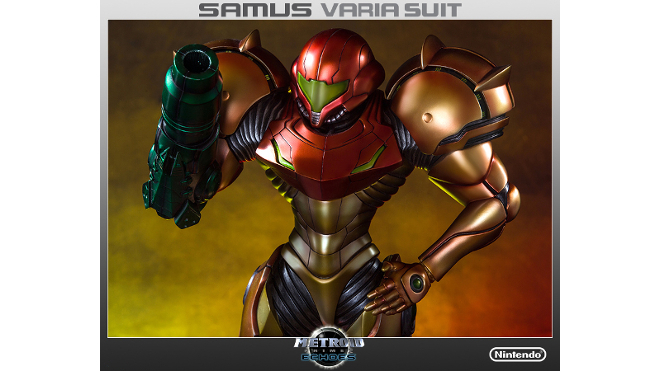 During her travels throughout the galaxy, Samus Aran can find and equip different suits of armour to protect her against the hostile world around her, and to grant herself numerous different abilities. 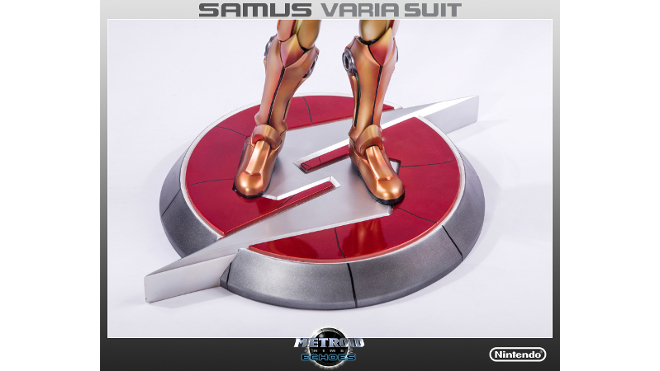 Of these suits, none of these are more recognisable than the iconic Varia Suit. 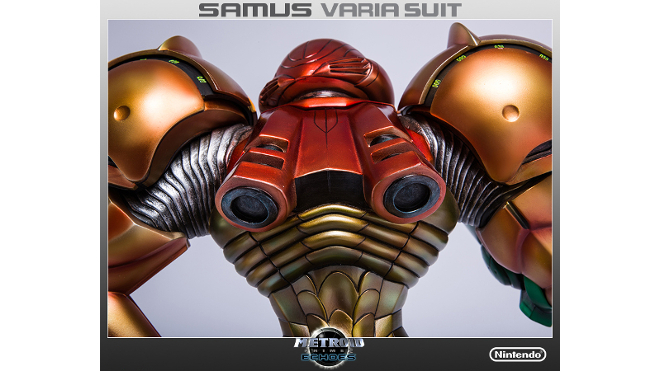 Instantly recognisable, the Varia Suit has remained a series mainstay, and is here depicted as it was seen during Metroid Prime 2: Echoes. 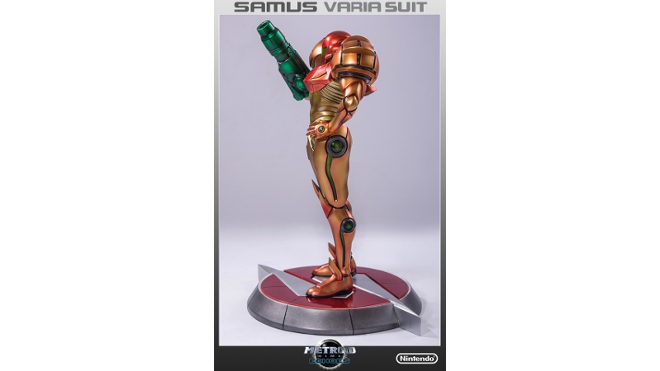 This Samus figurine measures 20 inches tall and stands upon a base inspired by the series insignia. 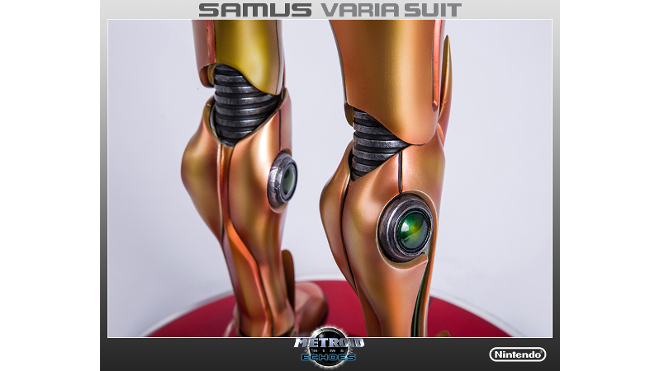 The Varia suit reduces the damage that Samus takes by up to half, is highly resistant to hot environments and completely nullifies the effects of acid, allowing her to walk through it without injury. Instantly recognisable from games as far back as the original Metroid game on the NES, the Varia Suit has remained a series mainstay, and is depicted here as it was seen during Metroid Prime 2: Echoes. 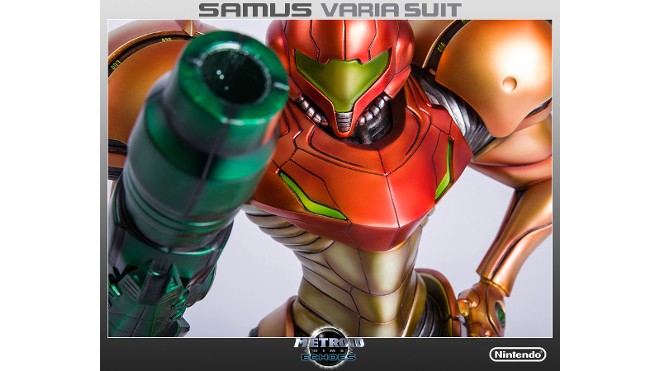 Captured in a stunning 1/4 scale in hand painted polystone, Samus measures an awesome 20 inches tall, standing upon a base inspired by the series insignia. 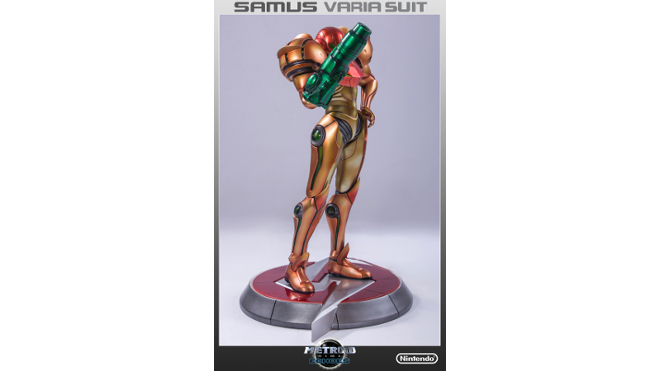 The figurine comes in deluxe full-colour packaging, with a hand-numbered base and an authenticity card.